Studies show that cheese works on the brain much like narcotics and you can be, basically, addicted to it. Well, I certainly know that I am addicted to cheese. It's really hard to ever say that I've had "enough" of it. So I'm always on a cheese quest, of sorts. But I can turn that desire for cheese into a desire to win Cheese Quest: The Quest for Cheese, a new board game that's up on Kickstarter now. 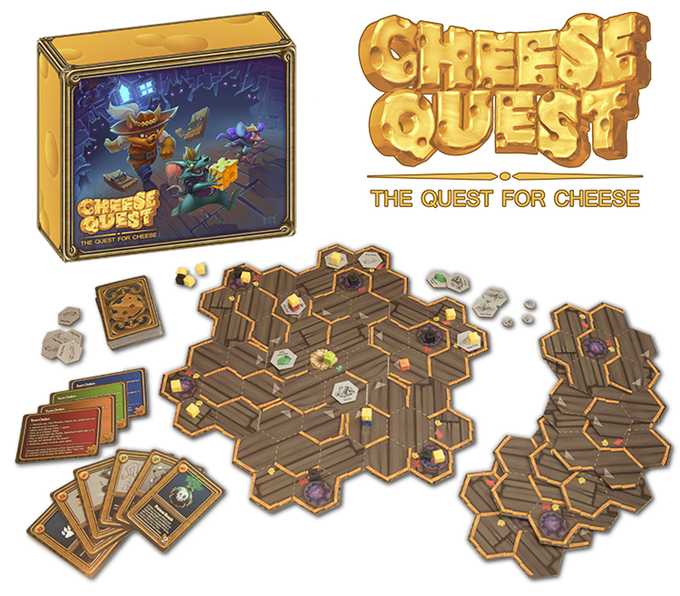 Cheese Quest is a game for 2-4 players. Players play as mice trying to sneak out of the nest at the center of the board, pick up cheese and bring it back. With the use of cards players control cats and traps to thwart their opponents. The first player to bring two cheeses back to the nest wins! 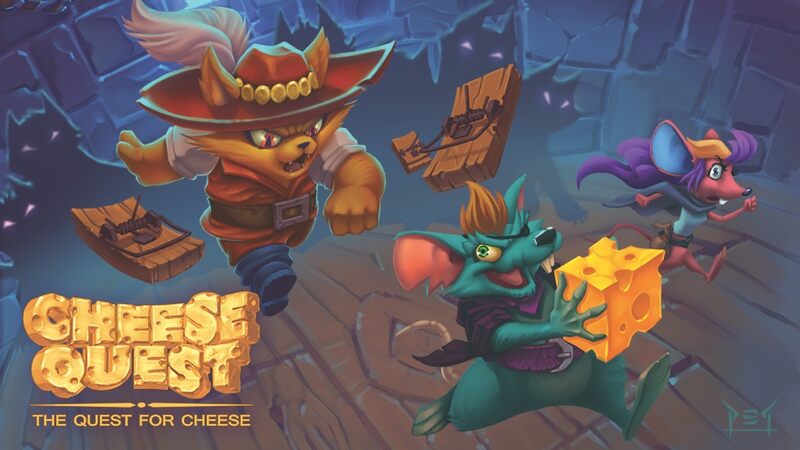 Cheese Quest has been more than two years in the making and has been refined and play-tested over that time by countless gamers and non-gamers alike. The game is popular with kids due to is frantic “take that” style of play, but adults also enjoy it because winning can be achieved if you apply a little strategy.